No sport has an impact on sneaker culture more than basketball. Every Christmas, players across the NBA use the holiday to showcase some of the most exclusive kicks of the year. Brands draw from many different themes and inspirations when creating a collection. Whether it’s directly inspired by the player wearing them or part of a bigger concept, all the shoes on this list are chosen for their level of creativity and execution. The Damian Lillard 1 earns a place on this list due to being the slickest silhouette of the 2014 Adidas “Bad Dreams” collection. Rather than going with an extra festive theme for Christmas, the “Bad Dreams” collection went in the opposite direction with dark color ways whose soles glowed in the dark. Rather than giving NBA players visions of sugar plums to dance in their heads, Adidas instead wanted to give players a nightmare before Christmas with a unique theme that earns a place on this list. There’s no doubt that Jordan Brand rules Christmas, just not always on the court. Obviously each holiday season is highlighted by some of the hottest retro releases of the year with the Concord XI Lows, Legend Blues, and 72-10’s to name a few. 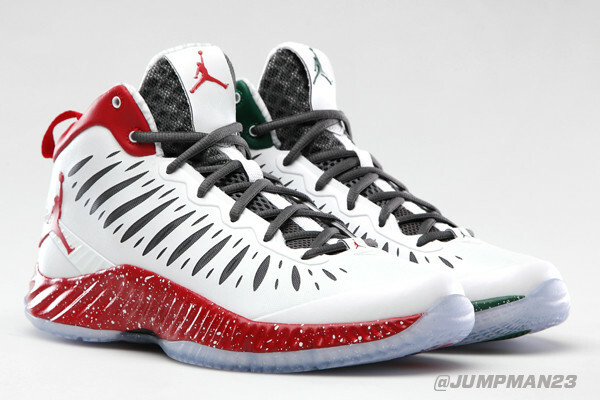 But, when Blake Griffin showed off a red and green SuperFly against the Warriors he landed on a winner. The color way is clean and gets points for using the different colors for the left and right shoe. The difference is notable but not so drastic that it overpowers the senses. The combination comes together for what is a memorable entry in the Christmas collection. 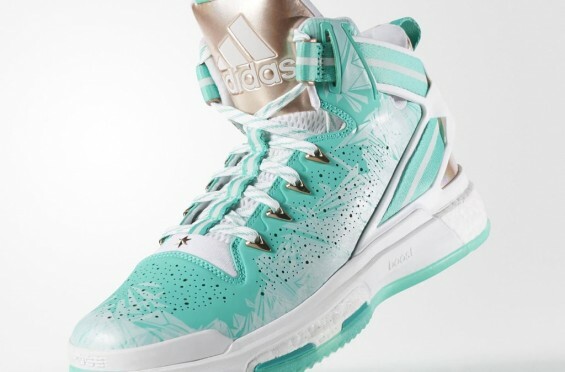 In a departure from the “Bad Dreams” theme, the 2015 collection from Adidas went with a soft mint green and white color way for all of their signature shoes. The bronze accents are a nice touch and the soft colors stand out well on the court or the street. What’s remarkable is just how well the colors translate into not just the D.Rose 6 but also shoes like the Crazy 8 and John Wall 2. Chris Paul does not get the recognition for his shoe game that he deserves. Not only does he have a countless supply of PEs but he is no stranger to debuting his own NikeiD creations on court. 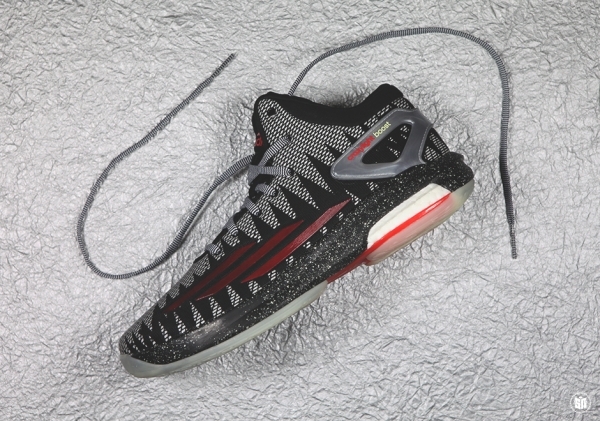 Of course, for the holidays CP3 has his own exclusive kicks that he busts out and the Vs are among the more memorable additions. 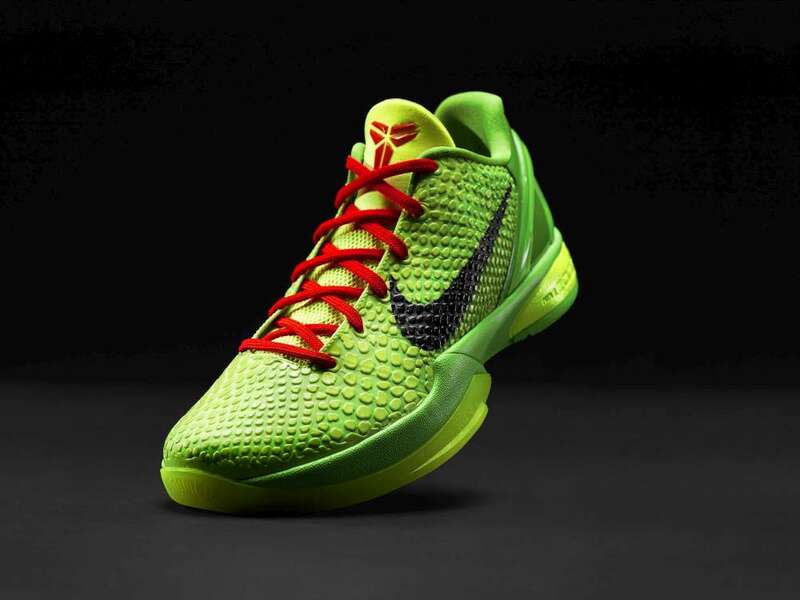 The color way simply screams Christmas. The bold red stood out that year as Paul dueled with budding superstar Steph Curry in a memorable holiday battle between two of the leagues best point guards. When Nike debuted the super high top Kobe IX, the dramatic shift from his signature low-tops turned heads with every color-way. Unfortunately, the Black Mamba’s season was cut short due to injury and he never got to debut this amazing shoe. 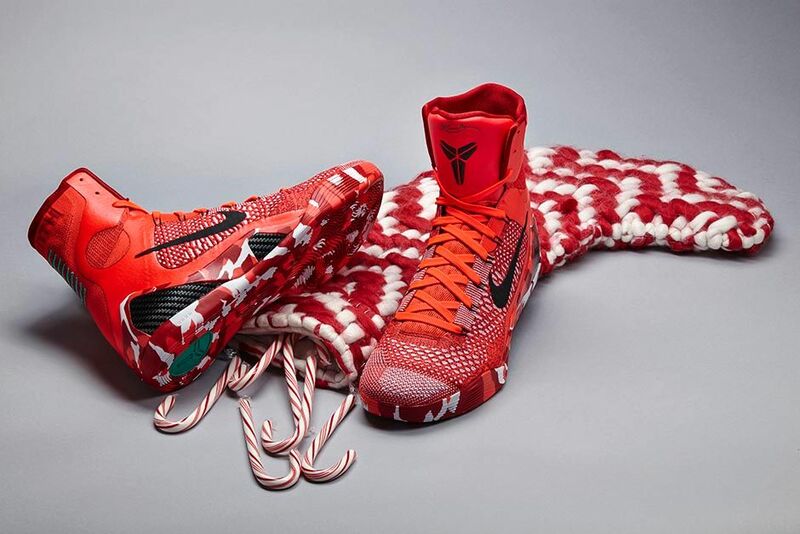 The thing that made the “Knit Stocking” amazing is how well the shoe captured the candy cane motif even before the promotional materials came out. As soft and family friendly as the red and white is, the sneakers were bold and demanded attention on court when Jordan Hill wore them against the Chicago Bulls. The unique silhouette combined with a memorable color-way and theme make this my number three holiday shoe. 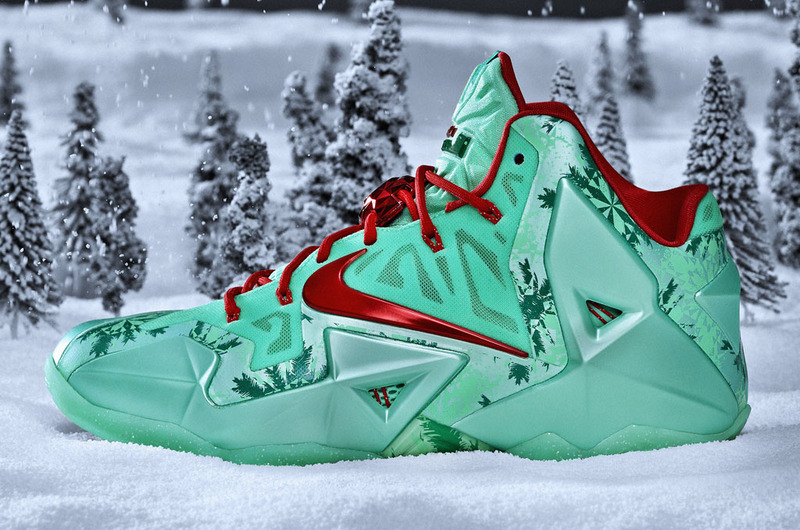 What made the LeBron 11 stand out in the Nike Christmas collection was that it wasn’t distinctly Christmas, it was Christmas in Miami. The cool mint green with bright red accents pop when seen by the eye but it’s the subtleties that make the shoe so special. The “snowflakes” on the upper of the shoe are actually palm trees that represent sunny Miami all year round and make this more of a Christmas in July kind of shoe than anything else. All the details together make this a memorable entry as the number two shoe on the list. When Kobe Bryant took to the court in the green Kobe VIs for Christmas, the shoe was so spot on that it immediately became a classic of his signature line. A source of holiday cheer is not Bryant at all. However, a character willing to steal away the happiness of the other team on Christmas for the sake of a Lakers victory fit him so well that the shoe has been rehashed several times over the years. The “Grinch” shoes as they’ve come to be known have become so popular that to prevent over saturation of the concept, this is the first time in severals years that the color way is being re-released as a NikeiD exclusive. 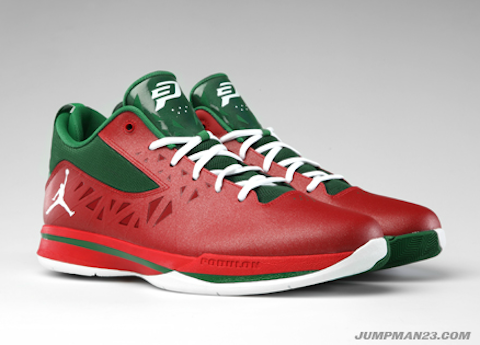 As far as Christmas shoes go, it is the standard for holiday signature sneakers. It’s a concept that is undoubtedly Christmas while also connecting with the player on a level that just clicks.